Outfitted with extensive safety gear, state Rep. Kevin McDugle stepped out of the patrol vehicle and advanced toward the deputy, who was role-playing as the irate driver of a black Dodge pickup. McDugle, a former Marines drill instructor, introduced himself to the woman as she repeatedly demanded to know why the “officer” had pulled her over. Focused on her temperament, McDugle failed to see her hand move to a gun loaded with blanks. Two shots rang out, causing the Wagoner County legislator to jump back in shock without ever grabbing his own gun from its holster. The exercise lasted 16 seconds. The Tulsa County Sheriff’s Office and the local Fraternal Order of Police lodges invited members of the public, government officials and media to the Law Enforcement Community Outreach and Education Day on Saturday. 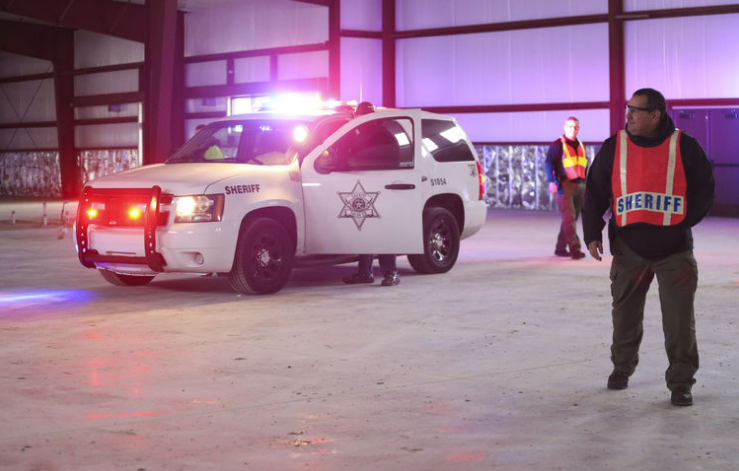 The event, held at TCSO’s training center in the 6000 block of East 66th Street North, featured a series of reality-based simulations allowing participants to experience firsthand the split-second decisions officers make during tense situations. The scenarios, which included pedestrian checks and a suspicious call inside a building, play out differently depending on the actions of the participant and can last anywhere from a few seconds to several minutes. McDugle portrayed an officer involved in a traffic stop with an unruly driver. If he had ordered the woman to keep her hands visible and kept his composure, the stop might have had no fatalities, Tulsa FOP Chairman Jerad Lindsey said. It also could have ended with a gunfight. Sheila Dills, a Tulsan who was invited to the event by Lindsey, lasted a little longer than McDugle but still met the same fate. Her scenario had a slight alteration, with a passenger in the pickup recording the encounter with his phone. Instructors complimented Dills on requesting backup after realizing the occupants in the vehicle were uncooperative and told her the driver was able to shoot her because she paid too much attention to the passenger. Sheriff Vic Regalado said the purpose of the event was to offer a better understanding of the numerous snap judgments officers are forced to make during high-stress encounters, especially ones that end with deadly force. He cited a rash of national incidents involving police in the past few years causing civil unrest and public distrust of law enforcement.